In the past year itself, five women have moved into the corner office at state-run banks in the country, joining a small club of women at the top of the banking industry across the world. They have already smashed the glass ceiling in private sector banking in India. 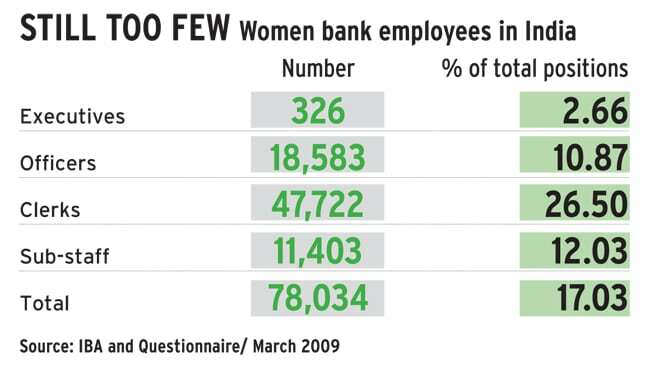 Now, Indian women are slowly but surely making their way to the top in public sector banks too. In the past year itself, five women have moved into the corner office at state-run banks in the country, joining a small club of women at the top of the banking industry across the world. 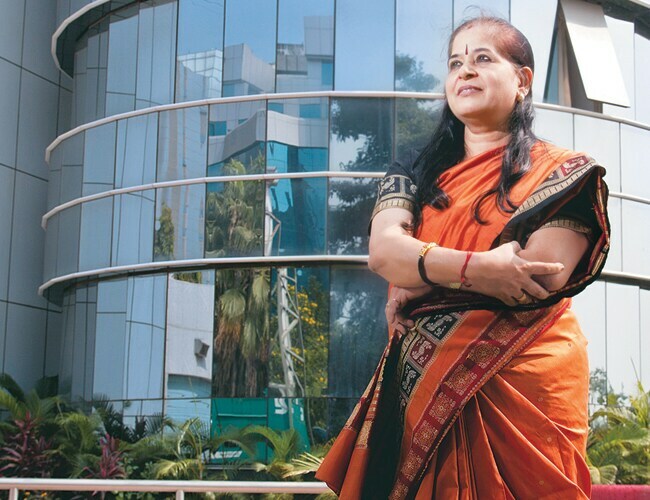 In November this year, Usha Ananthasubramanian took over as Chairperson and Managing Director of the country's first women's bank, Bharatiya Mahila Bank, soon after Arundhati Bhattacharya became the top boss of State Bank of India, the largest bank in India. In April, Archana Bhargava was elevated to the top job at United Bank of India while Vijayalakshmi R. Iyer became the head of Bank of India and Shubhalakshmi Panse became Chairman and Managing Director of Allahabad Bank last year. Making it to the top is never easy for women in any field. But it's particularly hard in the public sector where women initially took up jobs to help support the family and held back from taking up more challenging roles. It took more than 30 years after bank nationalisation in 1969 for a woman to be appointed head of a state-run bank. 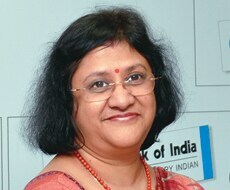 Ranjana Kumar became chairman and managing director of Indian Bank only in 2000. The numbers are still small, but have been gathering pace recently. Today, state-owned banks headed by women have a 45 per cent share of deposits and 50 per cent of advances of all public sector banks. So, how have these women succeeded in climbing to the top of the ladder? Most of them say they had to walk the extra mile to prove themselves. "You need to have knowledge levels and you need to work 10 times harder than your male colleagues to prove yourself," says United Bank of India's Bhargava. Bank of India Chairperson and Managing Director Iyer agrees. "Once they know that here is a person who is good, the sailing becomes very smooth," she says. It may have been tough for these women to get to the top, but even bigger challenges lie ahead. Many state-run banks are struggling with mounting non-performing assets (NPAs) and declining profits. State Bank of India, for example, is facing deteriorating asset quality. 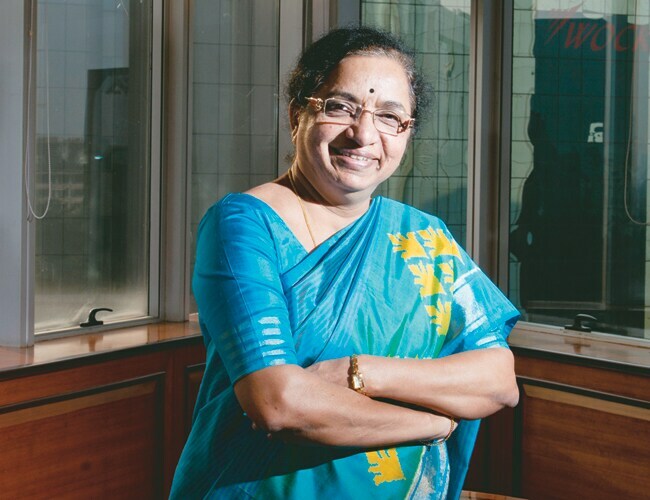 When Bhattacharya took over as the first woman chairman in the bank's 206-year-old history, she said her top priority would be to intensify the war on bad loans. They stood at 2.91 per cent of total advances at the end of the quarter ended September, the highest in four years. State Bank of India's net NPAs were 1.82 per cent of total advances in 2011/12 and 2.10 per cent in 2012/13. Iyer of Bank of India also has to fight multiple battles. Her bank's bad loans rose to 2.35 per cent of advances in 2012/13 from 1.47 per cent the previous year while its capital adequacy ratio of 11.02 per cent is the lowest among large banks. Allahabad Bank too has among the highest net NPAs at 3.19 per cent of total loans. United Bank of India headed by Bhargava is lagging its peers in profitability: its return on assets is the lowest at 0.34 per cent while return on capital is also a low 4.75 per cent compared with, say, Syndicate Bank's 20.47 per cent. But financial turnaround is not their only priority. Experts say the new female chiefs will also focus on making state banks more attractive for women, who often prefer private banks. Public sector banks may offer job security but they are hobbled by lower salaries. "We do not always have a very level playing field in terms of pay structures. We can only offer a slightly higher level of post," says Bank of India's Iyer. While some women have come up the ranks and gone on to occupy the corner office in state banks, they are few and far between. One problem keeping them from reaching the top in state-run banks is their limitation in mobility. Experts say many women, however capable, often refuse promotions because they involve either moving to far-flung areas or leaving their families. Another stumbling block is the perception that they lack the necessary skills and drive to make it to the top. "The ratio (of women joining at the entry level) has already become much better ... The only thing we have to ensure is that these women stay the course and don't leave,"says State Bank of India Chairman Bhattacharya. In 2009, the government appointed a committee to look at human resource issues of public sector banks under the chairmanship of former Bank of Baroda Chairman and Managing Director Anil Khandelwal. The Khandelwal Committee made some far-reaching recommendations, some of which were accepted by banks and the government. According to the committee's report published in 2010, at that time women accounted for only 17 per cent of employees in state-run banks, and only 2.7 per cent of women were in executive positions. "Most women quit mid-way. Quitting does not mean resignation, but quitting the career itself," says Khandelwal. "With counseling, I could pursuade some women but there are times when they also need mentorship and confidence." However, times are changing and many women bankers have earned their spurs by tackling seemingly insurmountable challenges. United Bank of India's Bhargava, for example, faced aggressive unions when she was posted in the Fort area branch in Mumbai in 1998. "Though initially it was very tough for me to grapple with them, it really was a turning point because it brought out the best in me," she says. "There is higher acceptability today of the fact that a woman colleague can earn as much, or even more, and can be more competent and more capable. All that is making a big change." Experts say a growing number of talented women is joining state-run banks. "Even in general banking, women with a finance background are coming in and they want to pursue their careers," says Khandelwal. He recalls a young girl came up to him once and said she wanted to be the Chanda Kochhar of Bank of Baroda. Kochhar is Chairman and Managing Director of ICICI Bank. Some experts have wondered if the trend of female heads will be sustained at state banks. Senior women bankers are optimistic. "The pipeline should have a lot of youngsters coming in now," says Ananthasubramanian. "I am sure it will happen. Maybe not immediately, but in the next 10 years or so."